Apple Senior Vice President Dan Riccio made the announcement in a statement to AppleInsider and other venues on Friday afternoon. This cancellation of AirPower comes around 19 months after Apple gave a 'sneak peek' of it at the September 2017 iPhone event. Problems with design and manufacturing have previously seen mention of AirPower all but removed from Apple's website so at times it was rumored to be cancelled. Persistent rumors and even a hidden image on Apple's site appeared to suggest it would be launched alongside the AirPods. What appeared to be a leak of the AirPods packaging included a drawing of what was clearly an AirPower charger. Yet, that graphic was not present on the shipping AirPods that AppleInsider examined. Neither AirPods nor iPhones require Apple's own wireless charger as they can work with any Qi system. The Apple Watch, however, does need either AirPower or the wireless charging puck that the watch ships with. It isn't presently clear what specific part of the AirPower was causing problems. The AirPower mat was more than a trio of charging coils, and appeared to utilize a series of cooperative flux generators to charge a device after locating it on the pad in software, which likely led to complications in design and manufacture. Apple's hands-on demonstration from 2017 showed this in-action, and AppleInsider was able to put multiple devices anywhere on the pad, in any order. 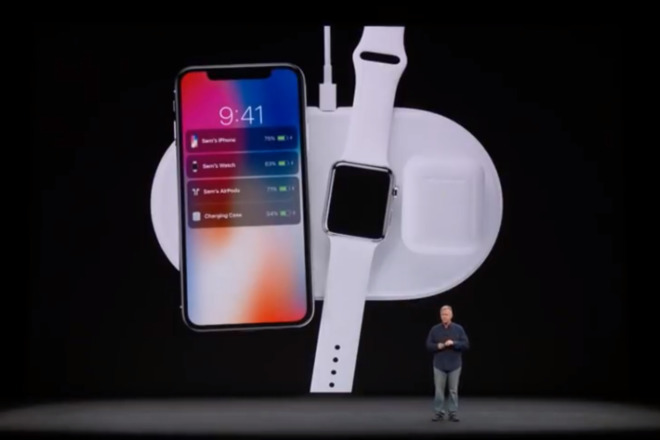 After doing so, the AirPower was communicating with the charging devices, and the iPhone on the pad was displaying information about the other charging devices. Apple wiped mention of the AirPower from its website in September during the iPhone XS launch, and didn't mention it at all during that presentation. AppleInsider has reached out to Apple for comment on specific reasons why the AirPower was cancelled. With AirPower officially dead, customers waiting for a first-party multi-device wireless charging solution from Apple are out of luck. AppleInsider rounded up the best alternatives to the product that never was, including a few single-device chargers so good they should not be overlooked.